Offers.com surveyed more than 1,000 U.S. consumers to discover the top shopping and spending trends for Valentine’s Day. 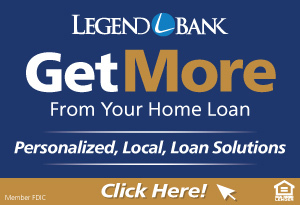 Let our data help you narrow down just how much to spend, where to go and what to buy. About 58% of Americans plan to spend at least some money for Valentine’s Day, according to our 2019 Valentine’s Day Spending Survey. And average spending is up by about 5% year over year ($58 in 2019 vs. $55 in 2018). To get a pulse on what consumers are buying for their sweethearts and how they’ll spend Feb. 14, we surveyed 1,000 U.S. adults. We also teamed up with leading fresh-flower delivery service, ProFlowers, to get insights into this year’s flower trends. 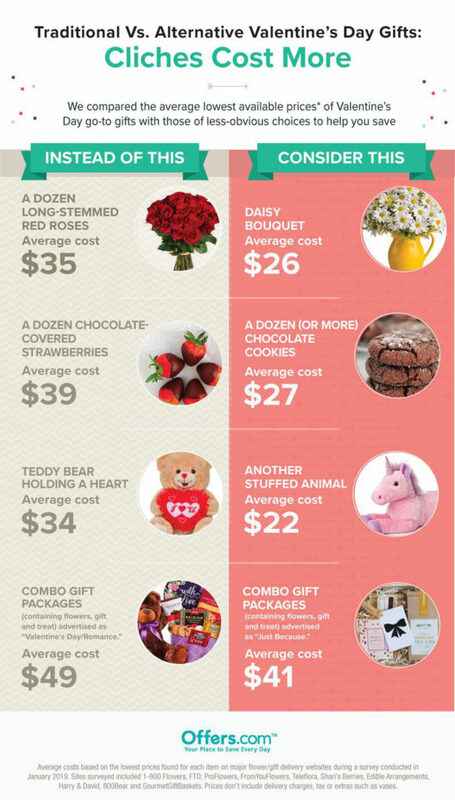 The average person will spend $58 on Valentine’s Day purchases this year, and engaged people plan to spend the most on average ($88). 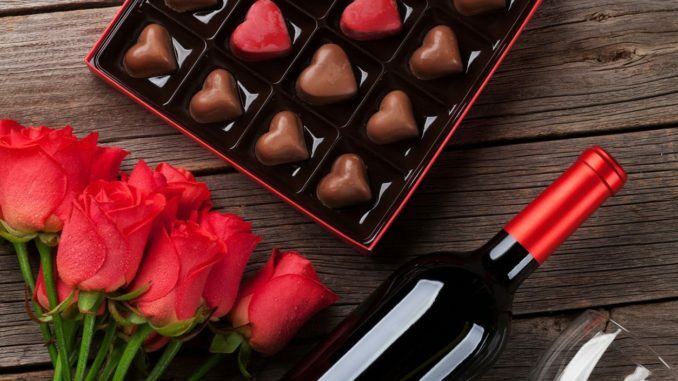 Chocolate or food gifts are the presents Americans want the most for Valentine’s Day. Walmart is the top retail destination for Valentine’s Day purchases. 75% of ProFlowers shoppers go for roses, when it comes to Valentine’s Day. More than half (58%) of Americans plan to spend at least something on Valentine’s Day-related gifts and activities, with the average person spending $58. That’s a 5% increase from last year’s average spending. 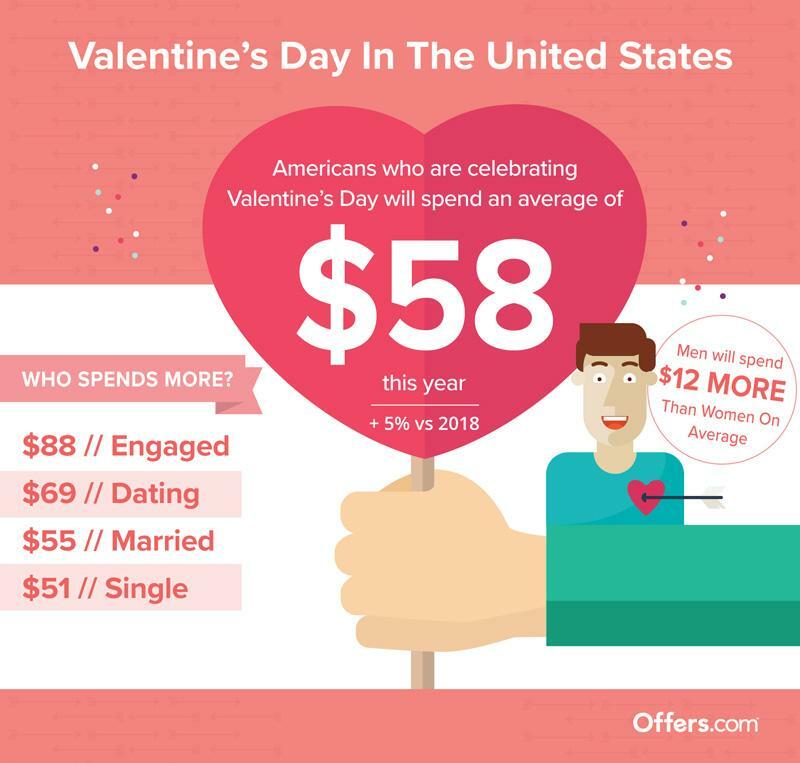 The majority of those planning to spend, however, aren’t spending big — 67% of those spending on Valentine’s Day-related purchases will spend under $50 and just 4% will spend more than $250. Flowers delivered to your loved one’s door are a classic Valentine’s Day gift, and roses are the most classic of all. In fact, 75% of ProFlowerscustomers buy roses for Valentine’s Day, says Kate Law, vice president of merchandising for ProFlowers. But “unique floral demand is growing,” according to Law, and customers are thinking beyond red and long-stemmed. Black, purple, blue and tie-died “unicorn” roses are trending upward. 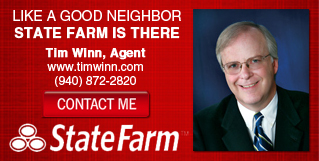 “People are looking for gifts that are going to stand out this season,” says Law. Young shoppers, meanwhile, are thinking outside the rose box entirely and going for something longer lasting.